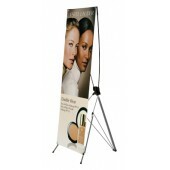 X-display banner stands are a great addition to your inventory for an upcoming fair or trade show. Making your print advertising materials visible will give you an opportunity to increase the popularity of your brand and to get in touch with prospects or potential business partners. 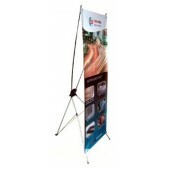 X-display banner stands range in size to suit the needs of any client. 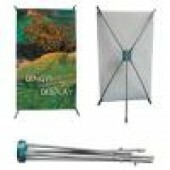 You will find everything from mini displays to a three-sided banner display stand. The smaller varieties can be used on a counter and the larger ones can be easily placed in a general area to attract attention. Each of our varieties is available in several sizes. If you like a particular design, take a look at the specifications to figure out whether a suitable size is available for sale. All of the varieties are lightweight, easy to dismantle and to fold. These characteristics make the transportation of promotional materials a very easy task. You can also remove one banner easily and replace it with newer graphics, depending on the intended promotional usage of the banner stand. 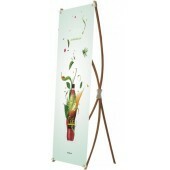 There are different materials, depending on the size of the banner stand and the structure itself. 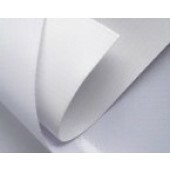 Lightweight metal is very sturdy and perfect for providing the right kind of support for your printed materials. 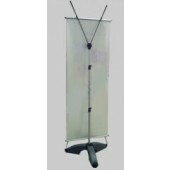 Using our X-display banner stands will give you an opportunity to experience a wide range of benefits and to improve your exposure. Whether you plan to use displays during a trade show or in your store, chances are that the banner stand will make your promo message more noticeable and attractive. 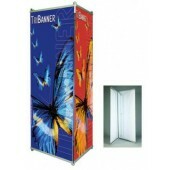 Banner stands are suitable for both indoor and outdoor promotion. The type of material that your banners are printed on will determine your ability to advertise regardless of the weather conditions. The manner in which our stands are put together makes them very easy to transport. Dismantling the stand is a simple task and it will take up minimal space. 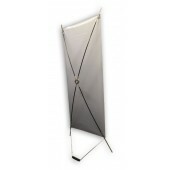 The banner stand can be taken anywhere without complicating the process. The materials that we use guarantee the longevity of our products. 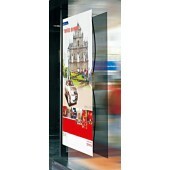 You can use the X-display banner stands time and time again. 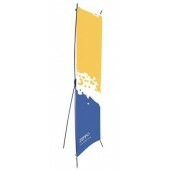 Change the banners and organize different kinds of promo campaigns. The banner stand will drive in customers and make people more eager to learn about the products and services you have to offer. Are you interested in even better customization opportunities? We can help you achieve that goal. 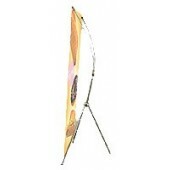 The Numart Display professionals will print your logo and brand name on the display materials you decide to purchase. Our team will also print your banner and give you full-color graphics covered with laminate that makes the poster scratch, moisture and UV-light resistant. As a result, your graphics will remain in excellent condition for a much longer period of time. Banner stands, especially display products made of high quality materials, can add sophistication and visibility to your marketing campaign. Choosing the right size and the right model will depend entirely on your needs and the type of advertising campaign that you are planning to launch.